Even though I have long been immersed in the seasonal rhythms of higher education, I still find this time of year thrilling, filled, as it is, with potential and promise. The energy and excitement generated as the campus welcomes new and returning students never fails to animate all of us who work for this university. After all, UC Berkeley’s mission, values and aspirations — the core of who we are — are embodied and sustained not by buildings, but by us, the students, faculty, staff and alumni who comprise the university’s community. So, today, in the first of what will be monthly columns, I want to reflect on the importance of community in the UC Berkeley context and the responsibilities we all share to sustain and improve it. At the most fundamental level, a community that is diverse, strong, supportive and welcoming for all is what makes it possible to take risks; it is our safety net as we explore new ideas, engage with new people and perspectives and seek to translate our beliefs and commitments into tangible form. Indeed, this fall we mark the 50th anniversary of the Free Speech Movement, and as we do so, we must use this commemorative moment to reflect on the complicated legacies of our past, to remember that our commitment to the constitutional protections of free speech, and our own history of extending the boundaries of academic freedom, come with enormous responsibility. While we believe in the unimpeded yet civil exchange of viewpoints, we must acknowledge how difficult this is in practice. For free speech to have meaning, it must not just be tolerated — it must also be heard, engaged and debated. Yet this is easier said than done. As a consequence, when issues are inherently controversial, free speech can lead to division and divisiveness that undermine a community’s foundation. This fall, like every fall, there will be no shortage of issues to animate and engage us all. Our capacity to maintain that delicate balance between communal interests and free expression will be tested anew. 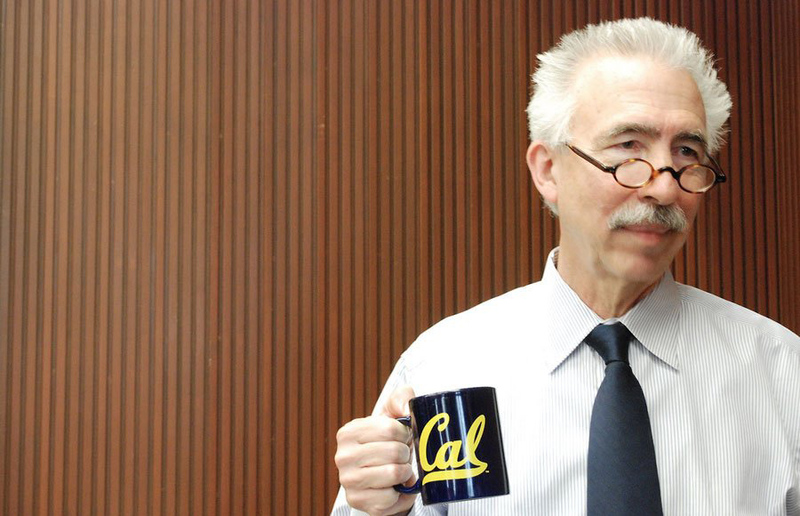 As befits UC Berkeley, the stakes will be as high as ever. As Clark Kerr, Berkeley’s first chancellor, noted, we do not make ideas safe for students, but rather seek to make students safe for ideas. The most effective and appropriate way to do this is through careful attention to and maintenance of our unique — and uniquely engaged — academic community. Ever since Plato first perceived that the good life of the individual was dependent on a good community, philosophical inquiry has accepted that individuals can best realize their own talents and aspirations in a social setting that accepts difference while creating communitarian forms that contain strife and organize disorder. Human history may not provide many models of political communities that work well for both the individual life and the public good, but I would argue that the university, flawed though it might be, is the closest example we have of a utopian community capable of balancing the needs of the individual and our society. Yet, community building is sometimes difficult in a university setting, filled as it is with so many talented and exceptional individuals. We sometimes measure Berkeley by the steady proliferation of parking spots for our faculty Nobel laureates, our astronomical academic rankings, our commitment to the relentless pursuit of new and ever bigger ideas. While we take great pride in our academic excellence, we also know that because of our traditional acknowledgement of the exceptional role of many brilliant individuals — scientists, artists, musicians, athletes, etc. — we may need to work even harder to ensure that the whole is far greater than the sum of the parts. We can only accomplish this by stressing what it means to be a real university community. So, while this campus offers a myriad of resources to support students facing personal challenges, we still have a collective responsibility to look out for one another. Even when it comes to one of the most serious issues campuses across the country are confronting — sexual violence — the university’s best efforts will be for naught without the acceptance of a collective responsibility to confront this challenge with genuine and lasting solutions that we all have a stake in preserving. Here at UC Berkeley, we challenge conventional wisdom in order to reimagine the future, not just for ourselves, but for all. This attitude — this ambition — flows directly from the circumstances of our establishment as a public university in 1868, in what was part of a monumental American experiment based on the belief that the national community collectively benefits from broad access to an excellent higher education; that democracy thrives when citizens have the intellectual tools necessary to fully engage with the issues of the day; and that society is more just and morally sound when the possibility of socioeconomic mobility is afforded to all based on merit, not their origins or family circumstances. And if who we are and all that we do as a university is to continue as a dynamic refutation of claims that higher education is strictly a private good, we must embody and model that communitarian spirit in the everyday life of this campus. If the public benefits of a college education are no longer a self-evident truth, we have a compelling responsibility to substantiate our conviction that they should be once again. We must make the case both through the conduct and performance of our university, through the arguments we make and, perhaps most importantly, through the ways that we engage and connect with each other as lifetime members of this grand UC Berkeley community.